Advertising companies and websites use ad tracking to record your browsing habits. The internet is a place that seems like full of advertisements. We have all gone through it. You wake up one day and go about your business trying to browse some useful websites like Facebook to read something. And you’re reading something about Ronaldo’s next match for Real Madrid. Suddenly out of nowhere your Facebook page tries to convince you that you need to buy a ticket to see the next Real Madrid match. You could also get suggestions on which sports shoes to buy next. And sometimes you might even stumble on a sale at the same moment you’re reading about a soccer match. How do companies achieve such feats? In other words, how do they accomplish such tasks? How can they read your mind? give the impression that they already have an idea what the user wants to do next. How can they tell that before you even decide it yourself? This is where ad-tracking comes in. It is a system really if you think about it. But the techniques that these technology companies have used before have caused some controversy. They get people to buy things. And the system does that even before people themselves know what they want to buy. You wouldn’t know what hit you. So how do this phenomenon of ad-tracking actually work? And how can you get rid of it? To put it another way, how can you stay under the radar completely. Well, if you want to know the answers to these questions, then you have come to the right place. How Do Companies Track You With Ad Tracking? Ad tracking is not just about privacy issues. Some companies go beyond privacy. The basic principle is simple. And advertising companies have used it for decades. They want to get the right type of ads in in front of the right type of demographics. And they want to show people ads that that most accurately represents the services and products that these companies are trying to give away or sell. Most companies use targeted ads for this purpose. They may make use of other mediums such as newspaper as well. Sometimes you might see a sales ad from a sporting store in the not-so-popular sports section of a newspaper. Companies can also make use of Nielsen data to further show targeted commercials to TV viewers from different regions and/or cities. Advertising companies want to maximize the odds of an advertisement finding the perfect customer at the perfect time. And they have come a long way in doing that since their early years. Throughout the 20th century, the process of showing good advertisement required hit and miss techniques. People considered advertising more close to an art rather than science. But then we got to see the internet. The internet helped everybody to open a Pandora Box. In other words, advertising agencies started to use advanced practices such as online behavioral techniques. These new techniques enabled these companies to show relentless and accurate ads to their target customers. And they did so at all times of the day. Some people like to refer to this model of advertising as interest-based marketing or advertising. Because this method relies on displaying ads by tracking cookies. Cookies, help companies build profiles on online users. Or the person using a specific computer. Then, companies can know the type of products and/or content that person on the computer likes. Using cookies, advertising companies can also know the domain names of websites where they do most of their shopping. So how do these companies build such a complex picture of online users? And how much these advertising companies really know about online users on an individual basis? To explain further concepts let’s take an example. Let’s assume a user has watched several YouTube videos on the subject of Tips on How To Play As A Striker In Soccer. That user might have done a couple of things already. The user could have visited Amazon a couple of times to buy some soccer cleats for strikers. But the user did not press the BUY button. Ad tracking systems that use techniques such as online behavioral method will have no problems in collecting pieces (broad ones) of metadata about the user’s browsing patterns. Usually, though, the user’s local computer stores these patterns. These patterns are what everybody calls cookies. A cookie represents nothing but a simple snapshot of each user’s data. Cookies can also tell companies which links a user clicked on. They can also provide information on which ads the user clicked before and which ads the user has already seen. Once a web browser stores cookies on a user’s local system, any given website that makes use of ad tracking networks will allow advertising companies to pull out data from those cookies. Advertising companies can then determine the type of banner ads along with pop-ups and sponsored content they should show to the reader. Remember that almost all websites that are free use these ad tracking networks. As mentioned before, advertising companies only have access to rough metadata details. with the details of the user’s browsing history. Then these advertising companies can build up what some call a semi-accurate profile of the user who is currently using the targeted computer. After advertising companies have done so, they can display the type of advertisement to the user that they think would give them the greater chance of the user actually clicking the advertisement. Beyond these initial details, advertisers get a more fuzzy situation. 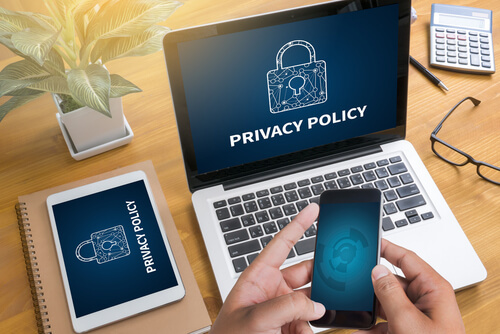 Because as of writing this guide, current US laws consider it illegal for advertising companies to track or collect any type of information that they could use to individually identify anyone from their browsing device. So Why Is Ad Tracking So Bad? Ad tracking happens for all devices. Let’s set the record straight here. Ad tracking networks that use interest-based methods aren’t inherently bad. If websites and services don’t use ads you won’t get to read and watch so much stuff without any charge. Advertisers must form a part of the system so that everybody can earn some money and pay the bills. Ad tracking networks try to help in such a setting. They design plans that can help content producers along with advertisers. In the end, all parties get the maximum out of their relationship with each other. But that is only true when the system is working as it is supposed to. In other words, if the system is working properly, everybody can benefit from ad tracking networks. That includes shoppers and readers on so many websites. In fact, when ad-tracking networks do their best work, you can easily find, without much effort, the best product for the lowest price just when you want to plan ahead and buy a specific given product (soccer shoes!) before you finally go that ground next to your house for practice. Ad tracking networks also ensure that the right deals end up in front of the right users at the right time. And to ensure that, they have to use interest-based ad-tracking techniques. So When Is Ad Tracking A Problem? It becomes bothersome when advertising companies and other third-parties get greedy. They don’t just use your data to show you targeted ads that would benefit you. They pull data from the ad tracking network system and then use it for illicit means. This gives rise to other problems such as data selling and data storage techniques. We have already mentioned the fact that advertisers should never pull enough data that they can use to identify individuals physically. That also holds true for any individual’s family members. But that doesn’t seem to calm down all online users. Some find it unnerving that advertisers know anything about them, let alone so much. Moreover, for some, knowing that someone is tracking them is enough to stop such tracking practices before they grow in their scale. Marketing agencies aren’t angels themselves. Till now we haven’t talked about their shadier practices. Practices where these marketing agencies bundle a group of profiles on people and then sell them. They can also buy them. And they can do so on open advertising markets. 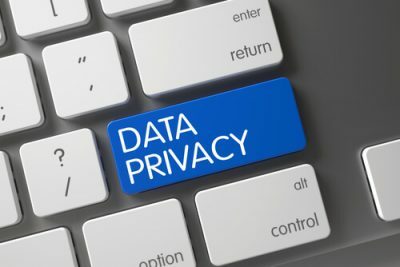 This makes it clear that at least in theory, anyone who has data on anyone can and probably does sell user metadata to third-party that may or may not have a good reputation. We don’t know exactly who is looking for each online user’s data. And no one really knows which company is using what data for what purpose. This also makes a lot of online users uneasy. And they may be on the right path. Users should have full authority on who can collect their data. With that said, how do you stop these tracking agencies? How To Opt Out Of Ad Tracking Programs. Advertisers all over the world have to stick to an agreement. This agreement is the only thing that allows them to collect all the rudimentary data to being with. As a part of that agreement, customers have the right to submit an official opt-out request. Customers can do so from any of their devices as they are free to do so. That means that once a user has opted out, advertisers won’t have access to a tracking cookie on that user’s device which can give them information on which ad they should display to the user. Instead, these advertising companies only receive an opt-out cookie. This enables advertising companies to only show a user a default ad. That means, this ad may or may not be relevant to the user’s interest. In other words, the default ad, in theory, could apply to all types of demographics in equal proportions. 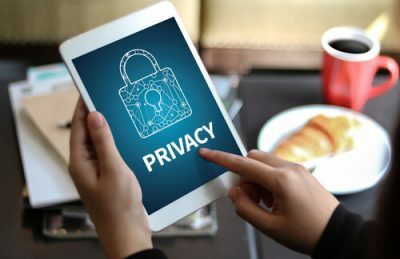 Users who have privacy concerns and are ready to lose targeted ad experience can easily opt out of these ad tracking networks. Opting out is probably the easiest and the simplest way to move away from such programs right from the get-go. But there are now a ton of ad tracking networks. It would take each user a lot of time to manually reach out to each network and opt out. Moreover, you would have to do so for each of your browsers. And then for each of your device. Lucky for the end user, there are many tools that they can use on the web that will help them opt out of advertising programs. And these tools can do so automatically. Moreover, these tools can achieve the same for all devices and all browsers. The user simply has to specify the network, device and browser on which to opt-out. How Do I Opt Out Of Big Ad Networks? Opting out of ad tracking networks is not a simple process. We have already mentioned the fact that advertisers need permissions to participate in the new interest-based ad tracking system. Hence, they actually need your permission to collect your data. And as per their agreement, they also have to give the user the option to opt out of the whole relationship from the beginning. This makes sure that the whole process of opting out is clean, painless and simple. Which Opt-Out Tools Are The Best? This is perhaps the best site for opting-out of marketing programs. It’s basically a tool from Digital Advertising Alliance. Make no mistake, this is an end-user’s best bet to move forward and opt-out of ad networks in bulk. This tool allows users to hit annoying ad problems right at the source. The best thing about this tool is that the organization behind it is independent. And actually a non-profit organization. Leading marketing trade associations along with advertising companies lead this non-profit organization. There are other members as well, but they don’t deserve a mention here. Why Is the DAA Such An Effective Tool? It is effective for the simple reason that this tool enforces those practices which dictate a couple of very important things. Firstly, it takes care of problems such as how online advertising companies can and cannot behave. Secondly, it acts as the primary resources for online users if they want to know everything that every major ad network that works online knows about them. The DAA provides all the updates regarding that. So how do you actually opt out? If you want to opt-out of any ad network, all you have to do is go to the above link. This tool is so good that it will actually generate a huge list of all major online advertising companies automatically. These are the same advertising companies that store cookies for each of the web browsers a user may use. The tool will begin a scan first. When it has finished the scan, it will show you the full list of advertising networks that are operating online. It will show another indicator. This indicator would show whether these ad networks are tracking cookies on the user for a specific browser. The tool will also have a checkbox. Users can use the checkbox to opt out of ad networks. What about users who want to opt out of all ad networks in a single moment? They can use the link that appears in the top-right corner of the screen. This label says SELECT ALL. It is located under the given Opt-Out option. The whole process of opting out would take the user a few minutes. After it has completed the process, it will show you the complete list of ad networks that it opted you out of. It will also tell you how many ad networks had trackers on you. This tool basically makes use of an opt-out cookie. The tool has to store that cookie on the user’s local device. It if it doesn’t then it can’t work. So make sure that you have not disabled your machine’s cookies from the start. If you have, then enable cookies before you start the complete scan. The other thing you should keep in mind is that the DAA scan actually performs unique actions for each browser. It also does the same for each of your devices. Hence, if you want to make sure that the DAA opts out all your devices and browsers, then you must run the DAA scan on all of your web browsers and devices turn by turn. To make that easier, the DAA has a mobile app by the name of AppChoices. This app will work by automatically limiting the user’s mobile web browsers and how they collect the user’s data. The DAA app will also take care of all other apps that the user may have installed on his or her device. You may know them more commonly as ad blockers. These are just web browser extensions. But they don’t just opt a user out of tracking programs for advertising companies. They basically annihilate ads that you may see on the internet altogether. To get rid of ad tracking you have to follow a process for each of your device. Well, first they scan web pages. While loading, they look out for any and all ad network online content. If that content cross checks against the ad blocker’s own constantly-improving and growing online database of websites, then they remove it. If these ad blockers detect that some traffic has indications that it is from an advertising company, then these ad blockers stop that traffic right in its tracks. This prevents the user from seeing the ad. In the end, the advertiser can’t place a tracker cookie on the user’s local machine. If you ever wanted a blanket approach to destroying ads and stopping tracking then ad blockers are for you. They will block identifying cookies. Can’t I Just Use Do Not Track Option? Because it is not enough. We know that Chrome users along with Firefox users would scoff at us for suggesting the tools above. Because they would know that their web browsers offer the Do Not Track option for anyone who likes to care about his/her privacy more than usual. And it is true that Chrome and Firefox users can check a simple Do Not Track box in their web browser’s settings. The Do Not Track option isn’t all that great. Because most ad networks usually ignore such requests. And since there is no government to enforce such requests, advertising companies can get away with it. They also have other numerous ways to get around the Do Not Track option. People have made more than a dozen appeals to the Federal Trade Commission for many years to do something about it. 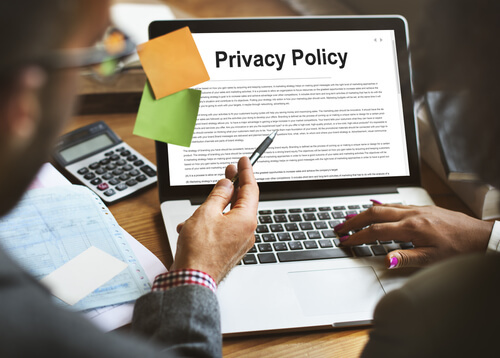 The FTC has the power to create some regulations or a regulatory body that could make accountable and answerable for ignoring users’ Do Not Track requests. They also have the power to fine advertising companies that violate these terms. So has the FTC taken any action? Because they haven’t found the courage to deal with millions and millions of dollars worth of lobbying. Who pays for this lobbying? Of course, the advertising companies. Nationwide, advertising companies are doing everything in their power to stop any regulation from blocking them in their tracks. However, the future is anything but gloomy. We now have portals such as DoNotTrack.us. It is basically a website. This website lists each and every advertising networks along with internet companies who have actually gone ahead and pledged to uphold and honor any and all users’ Do Not Track requests. That seems like we have a good thing going right? Because the list isn’t anywhere near as long as any online user would want it to be. Does The Opt Out Option Stop Everything? Opting out of ad tracking networks is just the first step. The opt out is great if the user wants to enroll onto the proverbial DO NOT CALL register. Online advertisers can’t really target a user with any specific product offer if the user has opted out. But the opt out option doesn’t entirely kill advertising. Websites are smart enough to keep advertisements that are relevant to the content on the site. They usually use up the spot where an advertising company would have placed a specific targeted ad. It means that the next soccer shoe ad that you might see may not perfectly match your size, but it could present an opportunity for you to take interest and then make the purchase. So how do you get rid of online ads in its entirety? As mentioned before, you must use one of the countless good ad blockers. These are available for free for all of your favorite web browsers. They are also available for mobile devices. You are one of the lucky ones because Security Gladiators has done most of the hard work for you. In other words, we have already told you which ad blockers work best. How To Disable Google Ad Tracking And Facebook Ad Tracking? There is no doubt about the fact that the two biggest online websites and services that benefit the most from online users not using their opt-out right Facebook and Google. They gain a ton of revenue from ads. Hence it makes sense that they would want you to NOT opt out of ad tracking networks. These two companies have built empires buy storing, selling and using user information that they have gathered on their customers for so long. Moreover, each of these two companies has spawned other tons of new and more effective advertising techniques. These new techniques have made them along with their advertising partners more revenue than ever before. In fact, Google and Facebook generate more revenue than many of the world’s western democracies. In short, Google and Facebook have immense online clout. But that doesn’t mean the rules have changed for them. They have to obey the rules just like everyone else. Hence, they have to provide all of their users an easy to understand and simple method of using their opt-out right. This holds true for all users who have an account with either of the services. Remember that even if you opt out, that doesn’t prevent Facebook or Google from actually tracking you and your advertisement preferences. It only stops them from showing you, the user, targeted ads. That is, ads that are targeted at the user based on the user’s behavioral cookies. As mentioned before, these cookies exist on the user’s device. If you want to stop Google from using ad-tracking methods on you, you first have to access your Google account’s Ad Settings web page. First, you will have to make sure that you are signed in to your Google account. Once you have made your way to your Ads Settings page, then you have to change one major toggle. We have to give credit to Google for making it very simple. With just a single switch you can turn off Google ad-tracking within seconds. Below that there is another option which starts with “Also use Google account activity and information to personalize ads”. Once you have followed the above guide, Google will stop showing you relevant ads. Google will not track your interests either. In other words, your Google searches will be default searches. Google will also not use your data and give it to other advertisers that use Google’s platform to show their own ads on their own partnering websites. As mentioned before, uncheck the box below the toggle button as well. This will effectively untie all personal and identifying user information. Partnering advertisers usually use these and gather other information on the user via Google Apps and their usage. We’re talking about apps such as Google Photos, Google Drive, and Gmail. Uncheck the box and it will disconnect your account from all these annoying personal ads. It will also stop Google from making further associations of your browsing habits with your account in the future. Now you need to look below the two options that you just disable. You should see a list of information that Google has gathered on you. Or more like your ad preferences. The information will go all the way back to the very first day you started to use Google with that account. This page should give you a lot of peace of mind. Because it will show you exactly how deep Google has gone to keep some data on you. But there is always the chance that you might find that Google has stored a bit too much information on you. It all depends on the user. Anyway, Google will show you categories of interests that it thinks you have an “interest” in. You can look at the subjects all you find. And if you find that Google has crossed the “personal” line, then you can just remove that category. If you see that some category is not relevant to you anymore then you can remove that as well. You just have to go through the options and then hit the small cross button that exists in each given category and/or topic. This will remove that option/category/topic off Google’s official list. For people who want to opt out of Facebook’s interest-based ad tracking network, they should start their journey by visiting their Ad Preferences page here. Once the user has accessed the page, then it’s time for a bit of scrolling. About halfway down, the user should have no problems in seeing a tab that has a blue icon in the shape of a gear on it. This option should have the label Ad Settings. When the user clicks on this option, Facebook will show the user all the data it uses to show the user targeted ads. This is also the page where the user can change his/her preferences. It will also give the user the option of choosing where to display ads. Facebook also explains on this page how the company uses user actions such as LIKES to show them ads and to those on the user’s friends list. If the user clicks on any one of the options shown then Facebook shows a pop up that explains how the company makes use of ads and how modifying the given setting would change the user’s ad experience on Facebook. Since you are reading this guide, we would recommend that you set all options under your Ad Settings to either OFF or NO. You can use the menu option to check all the options to OFF or No. Once you have turned off all of these settings, Facebook will stop using any and all interest-based ad tracking network cookies to show you targeted ads via their services. Apple is more forgiving than Windows when it comes to stopping ad tracking networks. Users who have Apple devices with iOS 10.3.3 or earlier, can effectively disable iOS ad tracking via some simple steps. Here look at the option that says Limit Ad Tracking. This option will block advertising companies from creating behavioral cookies on the user’s device. They usually do it when the user is surfing the web using Apple’s Safari browser. If you want to go one step further then you can tap that Reset Advertising Identifier button as well. This button will give you a clean slate by wiping all ad data that your device may have stored from your web browser, Safari. What About iOS 11 Users? iOS 11 users are in safe hands. They don’t have to do any work to stop ad tracking networks via their Safari web browser. Well, Apple, in its mobile OS’s latest version, has upgraded its Safari browser. Now it natively comes with a set of official commands. These commands block Safari from building and storing stashes of ad tracking cookies. Any cookie that is older than 30 days gets the boot. Our method will work for Android devices that have Nougat 7.1.2 and later. What you have to do is open the Settings app on your smartphone. Then tap the button that has the Google label on it. After that, you need to tap the label that says Ads. There you will see a toggle button which would say Opt Out Of Ads Personalization. Once you do that, you will no longer have to worry about advertisers using your smartphone data to sell your ads. They won’t find any interest-based advertising opportunities from your smartphone. There is a final step though. If you want to delete any and all behavioral cookies that are stored on your device then you will have to tap the link on the same screen as before that says Reset Advertising ID. This will delete all things related to cookies from when you didn’t turn off the Ads Personalization toggle. In other words, it will wipe off all identifying information. Microsoft has never done enough to get on the good side of privacy advocates. That is especially true for the company’s latest version of Windows, Windows 10. Windows 10 is arguably the most comprehensively personally invasive OS that Microsoft has ever released. It has a ton of privacy-invading features. One is where Microsoft provides advertising companies with an advertising ID. This advertising ID doesn’t just track the user’s websites. It also tracks how the user utilizes certain Windows 10 apps. If you want to opt out of such ad tracking, then you will first have to go to your Start Menu. After that, you must type Privacy in the search bar. This should give you the option for General privacy. Then you should have no trouble in seeing tons of options to toggle on or off, interest-based ad tracking features on your computer machine with Windows 10 on it. If you want to turn these privacy-invading features off (and app tracking as well) then switch a toggle that says Let apps use advertising ID to OFF. Now your Windows 10 operating system will stop allowing advertising companies to collect your Edge browser data. It will also prevent them from collecting any other official Windows 10 apps’ data. Moreover, you would do well if you also go to the official Microsoft Choice page. This is where you can control what information the company can collect on you. And it gives you options based on how you are using specific browsers. Moreover, it can also prevent advertising companies from carrying out interest-based ad tracking activities on you. Additionally, this page will stop those activities on all of your devices which you have connected to your Microsoft email account. That includes devices such as your Windows Phone and Xbox gaming console. If you want to turn off all ad tracking processes on all of your Windows machines/devices, then make sure you turn the two toggles on Mircosoft Choice Page to OFF. Of course, you have to make sure that you have actually signed in with your Microsoft official account. Without doing that, you can’t make the switch. Users who opt out of ad tracking networks get to enjoy great benefits. First of all, this guarantees the user that their mobile device or web browser won’t give away their information or their family’s to third-party bidders. It doesn’t matter if you are concerned about your privacy or not. 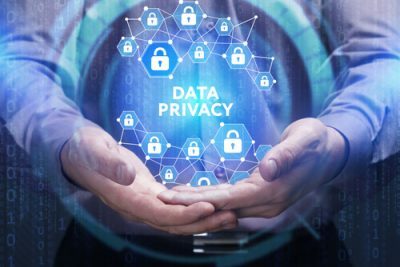 The fact is, all level of privacy have slowly eroded away under a constant barrage of privacy-invading tools on part of advertising companies. And that is why so many people are just fed up or letting advertisers know when they are about to go on their next vacation. When users opt out of these ad tracking networks via tools such as DAA and others, they take back some of that privacy. 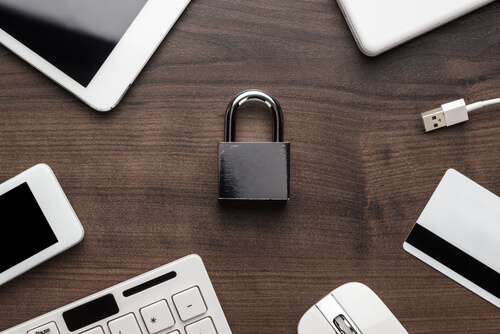 Remember, there are things you can do locally on your mobile device that can resolve any privacy issues before they get out of hand. Thank you for the comment Shaby. We hope you’ll take good care of your devices from now on. Since ios 11 apple has created a “bug” or should i say backdoors for advertising and now any app can turn this setting off when its in the background overwrites any user setting to install tracking cookies on iphones users think limit ad tracking is working but hell no it has been useless since ios 11 report this to apple and yes there are reports for this bug already this must be reported to apple til they fix this its a privacy and security invasion nothing else! Thank you for the comment Jackie. If Apple does not take care of its user’s privacy then they are certainly going to leave the company whose primary feature to lure people into buying its products is privacy.